Vee Two Mike Hailwood Replica Set to Debut at Classic TT—The Classic TT, currently taking place on the Isle of Man, will host a special event this Saturday, August 25, with the unveiling of the Hailwood Vee Two Replica. 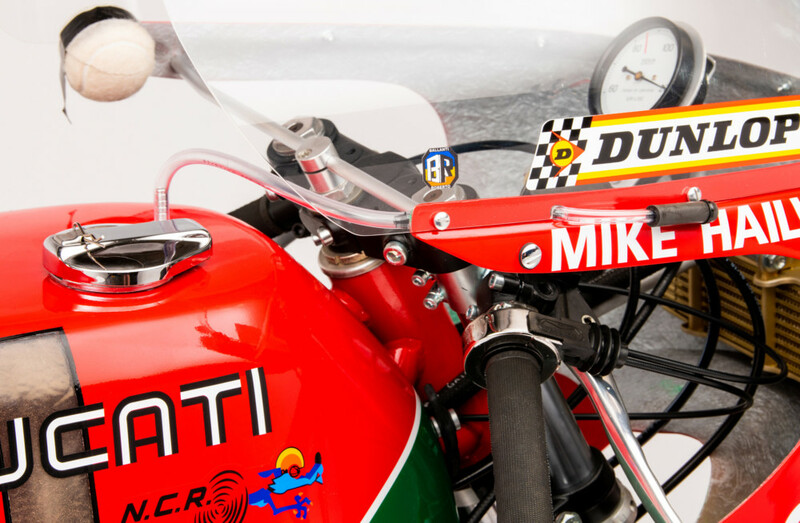 Only 12 examples of this stunning Mike Hailwood replica will be created, making them instant collector’s items. 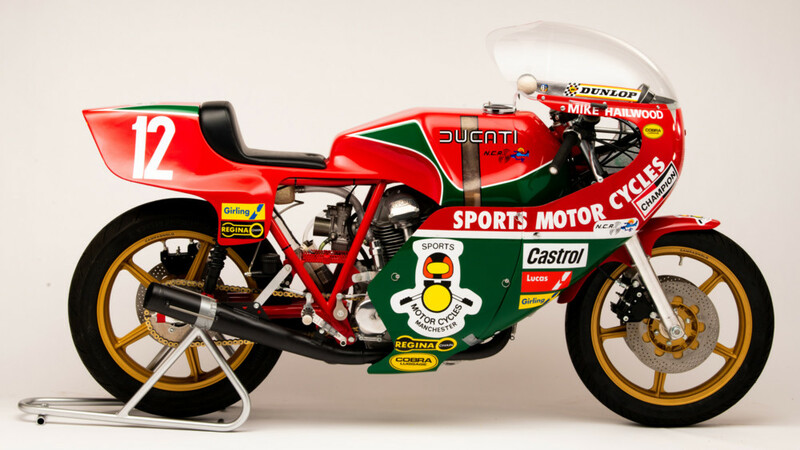 We have reported on the development of this motorcycle last year at Cycle News, and the Classic TT will see it in action for the first time in the hands of Mike’s son, David Hailwood, while TT legend John McGuinness will ride the actual NCR Ducati Mike Hailwood raced to victory in the 1978 Isle of Man Formula 1 TT. His win came 11 years after he last raced the Isle of Man, with many regarding it as the greatest TT performance of all time. 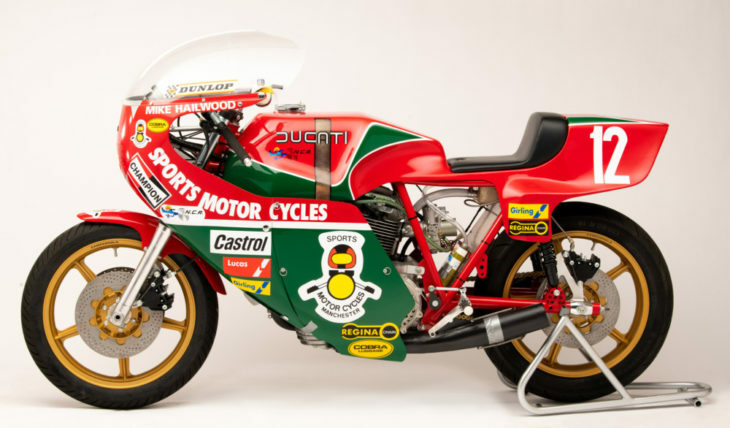 The Hailwood Vee Two project will see 12 machines built—Mike’s race number at the TT in 1978—and is a collaboration between Australian Vee Two founder and CEO Brook Henry and Californian-based Briton Paul Taylor and his Taylormade Racing concern. 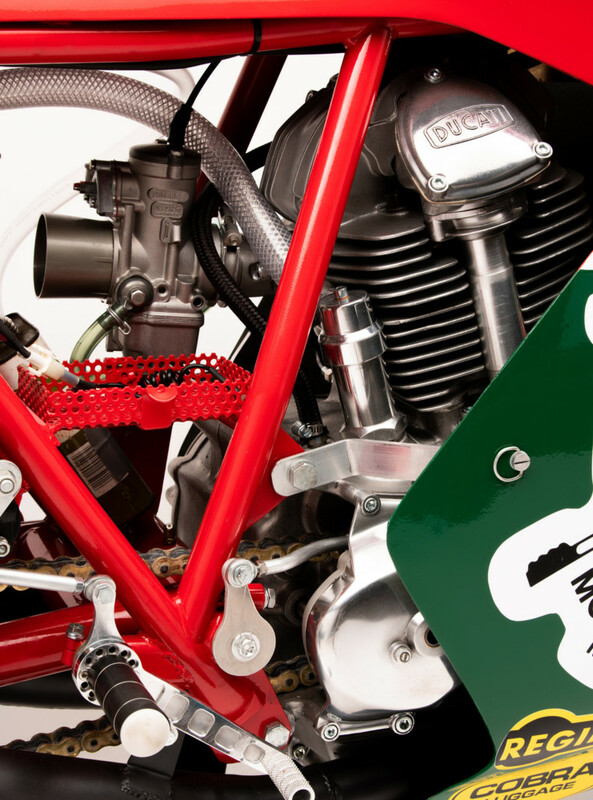 The Hailwood Vee Two is powered by the all-new Ritorno 905cc bevel-drive desmo V-twin engine which Brook Henry builds near Perth, Western Australia. 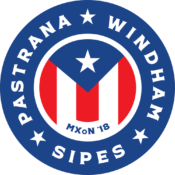 The bikes are then completed at Taylormade Racing’s base in Los Angeles, under the Vee Two USA LLC banner. Henry developed the Ritorno motor from his base in Western Australia. 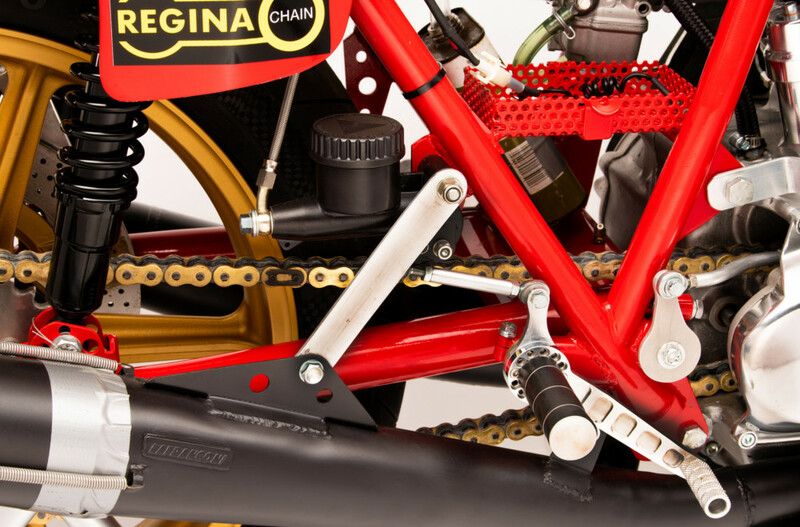 Ritorno features 58-degree valve angle heads, Nikasil chrome coated one-piece cylinders, strengthened crankcases, dry clutch, plain big-end bearing and one-piece crankshafts, components which can all be used to upgrade existing bevel engines. 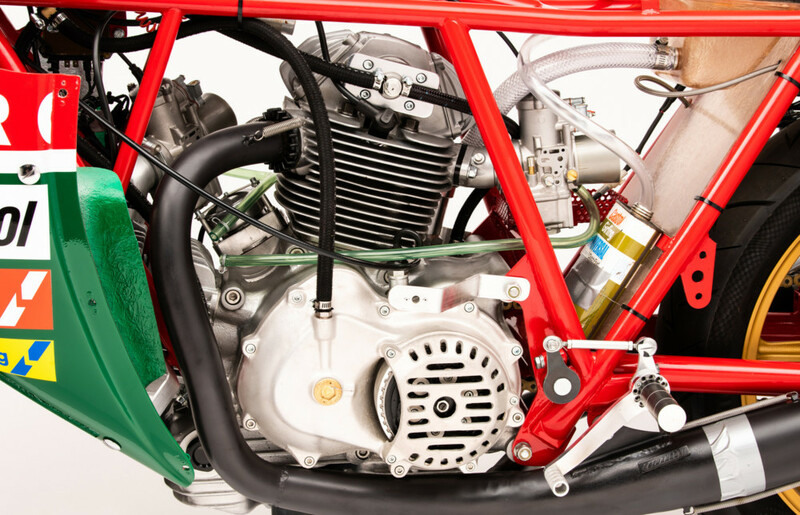 Complete Vee Two Ritorno engines are also available for customers who wish to build specials or give a new heartbeat to their old Bevel.